One of the first thoughts that ran through my head the day that my son, Onetime, was diagnosed with severe peanut allergy at the age of 1 was that I did not want him to grow up to be fearful. Fearful of eating something accidentally with peanuts, or fearful of being touched or kissed by someone who had eaten peanuts, or fearful even of the lick from a friendly dog (more on that later)….or fearful of dying from an anaphylactic reaction. Unfortunately, all of these things are possibilities for my son. For those Moms and Dads out there who have children with severe food allergies – you’re probably nodding your head right now. You get it. The constant fear that at some point, no matter how cautious you are, your child may have a severe, life-threatening reaction. It’s always at the back of your mind, you just grow somewhat accustomed to it and learn to live with it. For those of you who don’t know too much about severe food allergies, I hope you will read this blog today and find it informative. At some point in your life, and probably sooner rather than later, you will likely become acquainted with someone who does have a severe allergy. Although I don’t have statistics to report, it is common knowledge now that food allergies are on the rise and will likely impact you in your lifetime – either via a family member, neighbour, or your child’s schoolmates. The purpose of writing today though is not to dissect food allergies and discuss ways to prevent reactions, but instead to lay out my thoughts about how we can raise our kids to be Dauntless, while still being cautious and safe. Fear. It is one of our most basic and powerful emotions. And like all emotions – it has a purpose. It is our body’s way of warning us of danger. Do we really want our kids to be fearless then? Don’t we want them to be aware of dangerous situations and to know how to keep themselves safe? Absolutely! 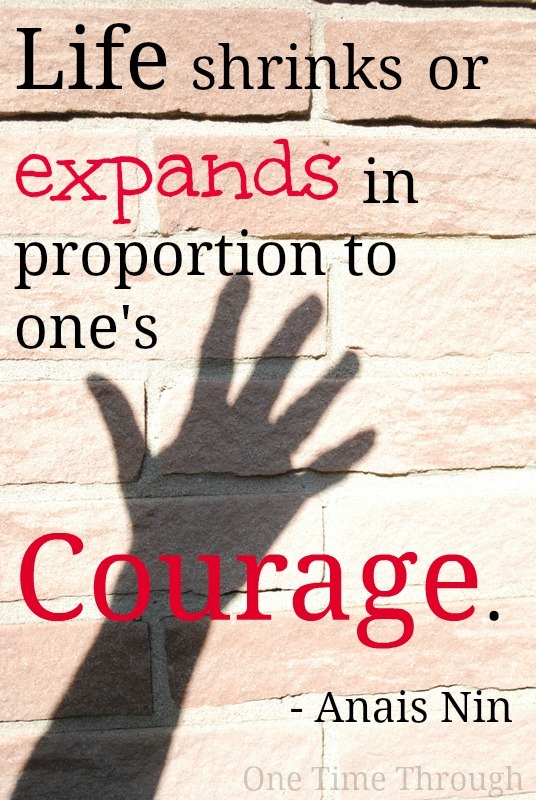 On the other hand, problems develop when fear takes over. Living in a fearful way can impede enjoyment of life, lead to anxiety and depression, and at the very least, get in the way of trying new experiences. I don’t ever want my son’s peanut allergy to be the reason why he doesn’t go to a party, or go camping with friends, or travel the world. But at the same time, I know he will have limitations from the allergy. He probably will always have to check food labels and be very careful about where he eats out. He may not ever feel comfortable travelling too far away from a hospital if he is going to be in an environment where he might have a reaction and will need medical care. And eventually, when he is old enough to begin romantic relationships, he is going to have to be careful about who he kisses. These things make me really sad, but that doesn’t mean he has to live in a bubble and become afraid of new situations. And like most things, I think that how my son eventually comes to deal with his allergy is going to depend on the modelling that he sees from myself and his Dad. Here’s the real struggle of course….kids learn from what we do, not what we say. When my son was diagnosed, I thought I had a fairly good handle on what this would mean for him. Having worked with kids my whole adult life, I couldn’t recall one class or group of kids I had worked with that didn’t have a child with an epipen. I knew the basics. Then, about 6 months after my son was diagnosed, my husband and I were out on a walk with my son in the woods when a stranger with a large dog approached us and my son was licked all over his face before I had a chance to react. Now, I wasn’t thinking about peanut allergy at that point. I was upset that this man had basically allowed his dog to maul my toddler. However, about 1 minute later, when my son’s face popped out in hives and started to grotesquely swell up – I put two and two together, got out my son’s Epipen and calmly instructed my husband to call 911. I was terrified…but I went into a sort of Commando-Mom mode. I popped the top off the Epipen and told my son calmly that he was having a reaction and I was going to inject him with some medicine to help. I firmly instructed my husband to call 911 and tell them that our son was having a life-threatening reaction to peanuts and that we needed an ambulance immediately. My heart was beating out of my chest. My hands were shaking. Instant adrenaline…but (thank goodness)I wasn’t hysterical. My son, amazingly, was quite calm at first, aside from being sore from the injection. And I think to any outside observer, I would have appeared that way too. It was probably easier for him because he couldn’t see what his face looked like. Basically, the one cheek had puffed up to twice it’s size within a minute, hives had spread all over his cheeks and chin, and his other cheek was started to balloon up. It was really scary and I was surprised at how quickly it all happened. This was his first major reaction. Anyway, I won’t go into any more details of our adventure that day, except to say that after a second Epipen and a crazy ride in the ambulance with an epinephrine hyped-up screaming and thrashing toddler, I managed to hold it together until a few hours later when my son was laying comfortably in a hospital bed, covered in electrodes to monitor his life signs, and I left him to my husband’s care. Quietly in the emergency room washroom, I let the tears pour down my face. The next day, when my husband and I were still processing what had happened and the implications of it, my son was happily playing ambulance and using his play doctor’s kit to monitor his blood pressure, and self-administer needles. He had not been affected by the whole experience in the same way that we had been. What we knew had been a potentially life-threatening situation, he saw as a new (although intense) experience to explore through play. As parents, we have so many choices about how to raise our kids. It’s really difficult sometimes to see that HOW we react to situations, and to our kids, can be the biggest choices that we make. After the “Dog-Licking Day,” my husband and I realized that we needed to educate ourselves even more about possible triggers of reactions. We also realized that, unless we wanted our son to grow up fearing dogs, and other situations, we were going to have to find ways to teach him to be cautious without being needlessly fearful. And a lot of that was going to depend on how our son saw that we reacted to these situations. Although I would never claim to be an expert in these things, here are a few strategies we have tried. Most of these ideas could apply to almost any situation that you want to teach your child to be safe about – like crossing the street, or bullying, or going with a stranger, or fire safety. We found a really cute series of kids books from www.foodallergy.org that addresses common situations that confront children with food allergies. The stories feature a friendly elephant named Alex that assertively deals with his allergy. But, there are all kinds of books about bullying, fire safety, and other safety topics. If you know of any good ones – please leave a comment here today to share that resource with others! 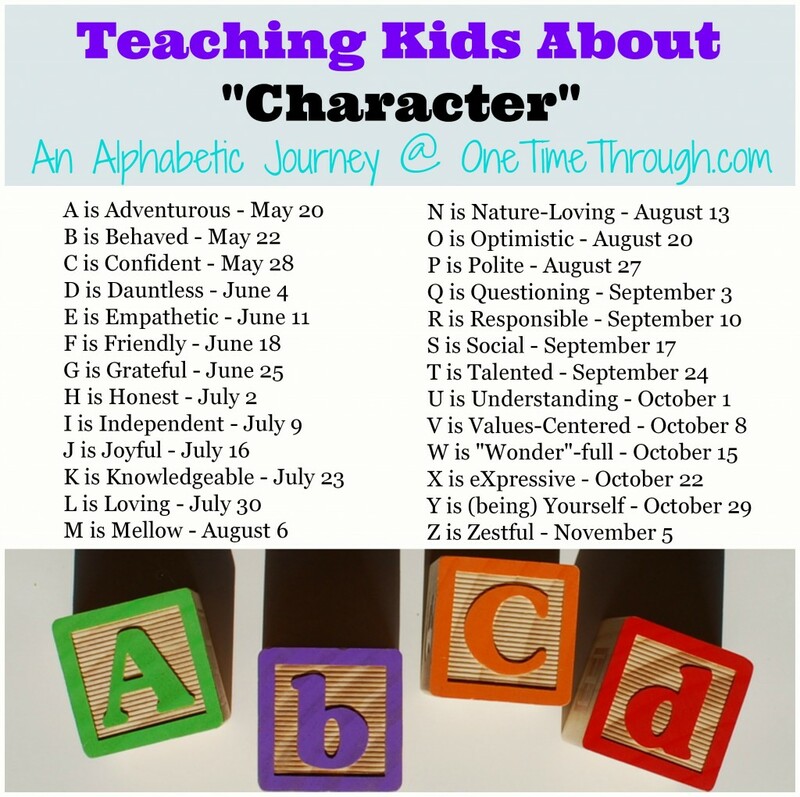 These discussions will get your child thinking deeply. Even if your your child is still too young to reply to your questions – still ask them. Just wait 10 seconds or so while they think, and then supply some possible answers. Eventually, they will join you in discussions as their speech catches up with their comprehension. This is perfect for toddlers and preschoolers. While my son initiated the ambulance and hospital play, my husband and I have joined him “in role” countless times as doctors and nurses and ambulance drivers. 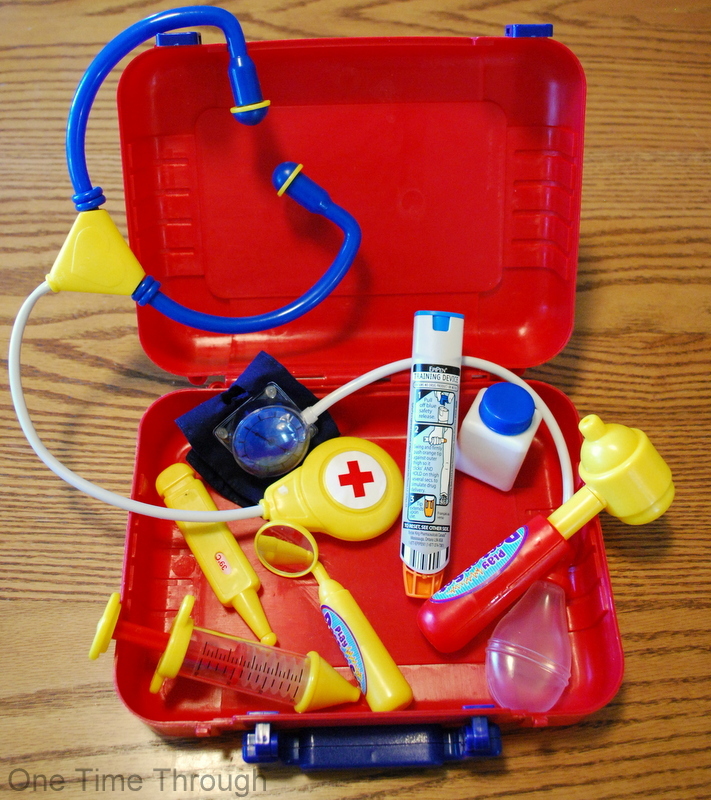 We even added a practice Epipen to his doctor’s kit for pretend play. When playing “tea party” we try to remember to role-model checking for peanuts before eating any pretend snacks. 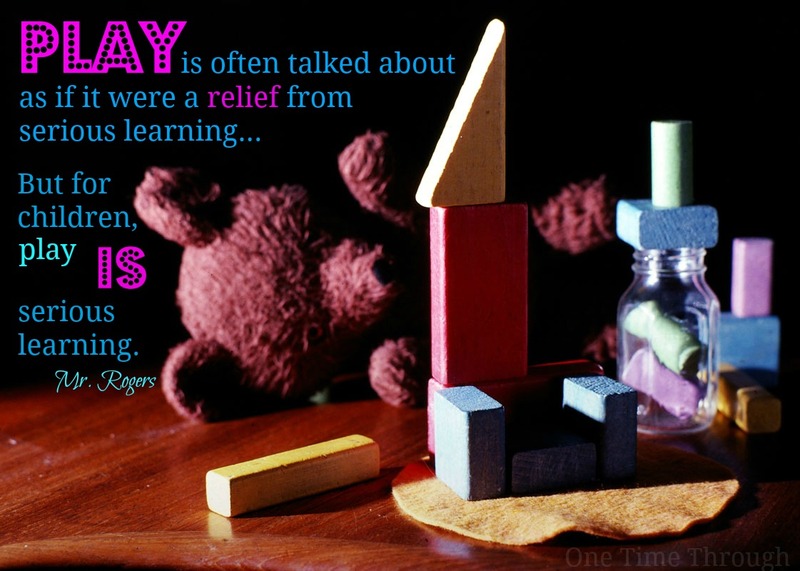 Children process and learn through play (Mr. Rogers says so, so it must be true!). This can be a really fun and non-scary way to address safety issues with them, to model appropriate ways of thinking, and to teach them ways of advocating for themselves in dangerous situations. When we are going to a party that might have Onetime’s allergen, we talk with him beforehand about the importance of asking me or Dad whether a food is safe before eating it. When we see a dog coming down the side-walk towards us, we might comment how adorable he is and then say something like, “I bet you wish he could lick you all over! But he might have had some peanut in his dogfood, so we better not.” This role-models the kind of thinking that I want my son to eventually go through by himself. Basically, kids will learn the most, and learn most deeply, if the teaching occurs when the moment is right! This is the idea that I feel is the most important. Onetime’s allergy is something he will have to be cautious about his whole life. It will eventually become second-nature to him to do all the things that will keep him safe. We don’t want to scare him into not living his life, and yet we don’t want to put our heads in the sand and pretend that there isn’t a real danger to him. If we treat his allergy with the respect that it needs, while not giving in to fear-based thinking, then eventually, he will come to treat his allergy in the same way. My son has proudly worn it ever since – including at naptime and at night. I think we are doing a good job so far. Thank you for reading and again, if you know of any good books for teaching kids about safety, allergy-related or not, please leave a comment. A big thanks to the PODcast blog for the inspiration for this series. For my Canadian friends – be sure to check out Anaphylaxis Canada’s website for terrific resources if your child has a life-threatening allergy. Previous Post: « Simple Sensory Activities: When You Only Have 10 Min. Knowing all the words associated with allergies and how to talk about his own allergy to peanuts will definitely help him feel confident when adults or his friends at school or play ask him about it. Thanks so much for dropping by over40andamumtoone! I’ll come by to check out your post today. I know we’re going to have to do a little extra thinking before my son hits school, but as a teacher, at least I feel like I know what to ask for. I personally would have no problem with everyone knowing about my son’s allergy. I think that’s best. I’m less worried about “stigmatizing” him than him being safe I guess. I totally understand your concerns – and have to admit I’m dreading going through the same thing with my own son! Both I and my brother have severe allergies to nuts (all nuts…), and whilst I haven’t yet exposed my son to them (tricky when I can’t come into contact with them!) I know there’s a good chance he’ll share my allergy. What I would say though is that whilst having a severe nut allergy has altered the way I approach things it is completely manageable – it hasn’t stopped me travelling or trying new foods, I’m just meticulous about taking all the precautions I can, always knowing what is in anything I consume or touch and carrying my epipen just in case. I realise all that will be much harder with a young child, but it sounds like you’re doing all the right things to educate your son about his allergy. In relation to what you said about fear, I think it’s definitely important that it doesn’t become a massive focus for anxiety. My brother has had some real issues with panic attacks associated with his allergy – he’s got it under control now but it has been hard. Thanks so much for dropping by and taking the time to connect Sophie! It’s really good to hear from an adult perspective about nut allergies. My husband and I know so many people now whose kids have the allergy, but only know of one adult friend. He has given us some information, but we haven’t had a chance to talk with him about the anxiety and fear around the subject. “Meticulous” is a good word to use. Sometimes I get the feeling that others think we’re a bit overzealous about checking labels etc., but my thinking is I’d rather err on the side of caution. One of the most challenging parts of my son having this allergy, is trying to convince others about the seriousness of it. Thanks so much for your perspective! Thanks so much for coming by, Renae. That’s very sweet of you to share! A really useful and interesting post. You really manage it so well and great advice to talk about it with children. That is a beautiful photo with the perspective of all those stairs and your little man walking up them. Thanks for dropping by Brinabird and son. I’m glad you found it useful. I know that when Onetime was first diagnosed, I would have appreciated getting even a little advice along these lines. Heck – I’m still looking for advice! 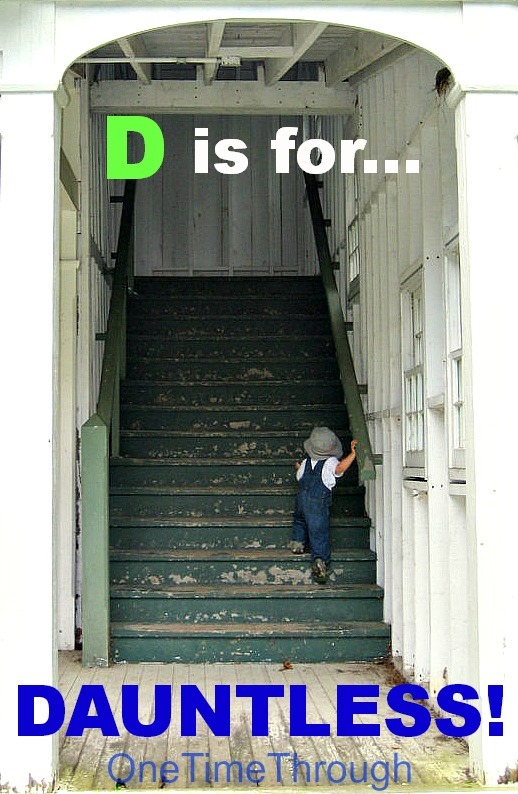 I love that photo too, something about my son being so small and the stairs so big in comparison. Thanks so much Charly Dove! So you know what I’m talking about with the egg allergy. I guess there are much worse things for your child to have – but I really hope in our kids lifetime they are able to figure this thing out. Thanks for the positive feedback! You are doing a great job! I have a feeling I would have been a frantic mess! Maybe the doctor side of me would have kicked in, I don’t know, but luckily I have not had to deal with it! Thanks so much for taking the time to comment Ashley. I guess you never know how you’re going to react until it happens, right? My husband was really upset at the time, then very calm and rational later when I was freaking out! Guess we balance each other well – good thing! Hopefully, you won’t have to deal with this kind of situation, but we all have our own challenges in life don’t we? Thanks again for dropping by!